Why is watching a dysfunctional family on stage or screen so much fun? Maybe it's because it makes our own family look a little less dysfunctional in comparison. Such is the case with the LeVays, the upper class African American family at the center of Stick Fly, the 2011 Broadway play* making it's regional debut at Park Square Theatre. We spend a few days with the LeVays in their home in Martha's Vineyard, where they have intense conversations about race, class, gender, education, relationships, and family. It's the kind of play that draws the audience in and makes you pay close attention so as not to miss a moment of the rapid-fire dialogue. 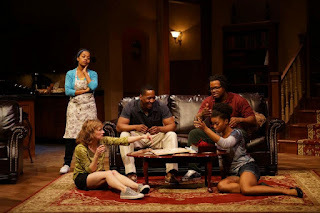 The compelling cast really feels like a family by the end of the play, with many of their issues still unresolved, forever changed by the weekend. The patriarch of the LeVay family is a neurosurgeon who marries into one of the few African American families to have a home on the Vineyard. Elder son Flip is also a doctor (but in the less prestigious field of plastic surgury) and a womanizer. He brings his new girlfriend Kimber to meet the family. She's white, but comes from the same upper class background as the LeVays. Younger son Kent is the sweet, sensitive artist type who doesn't quite fit in with this family of overachievers. He wants to be a writer, of which his father definitely does not approve. He too brings his girlfriend, or rather fiance, Taylor, to meet the family. She's the daughter of a famous author who grew up middle class with a single mother, a stark contrast to the LeVays' lifestyle. Add to this mixture the daughter of the longtime family maid, who grew up almost a part of the family but always outside of it, and you have plenty of conflicts just ripe for exploding. And they do. Mrs. LeVay is often spoken of but never appears. Dr. LeVay's excuses don't cover the fact that there's something going on there. When the reason is finally revealed (it's a fairly predictable secret, I've watched enough soap operas to see it coming a mile away), it causes all of the conflicts of the weekend to come to a head. 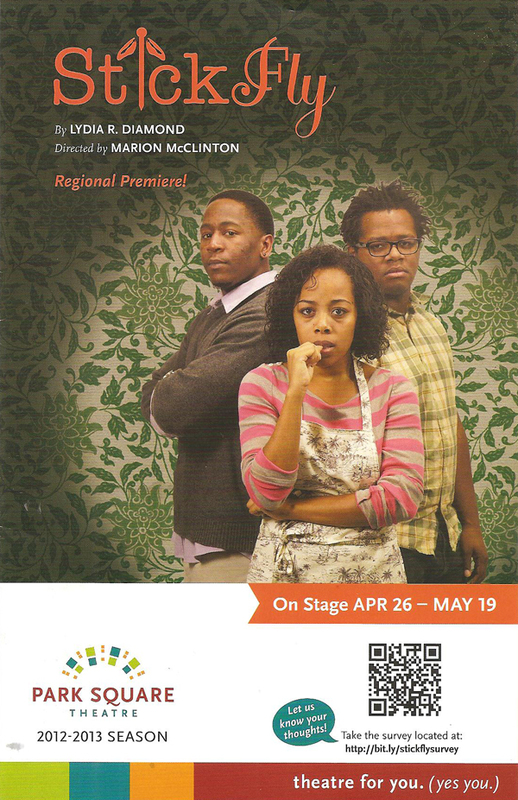 This capable six-person cast is directed by the always excellent Marion McClinton. 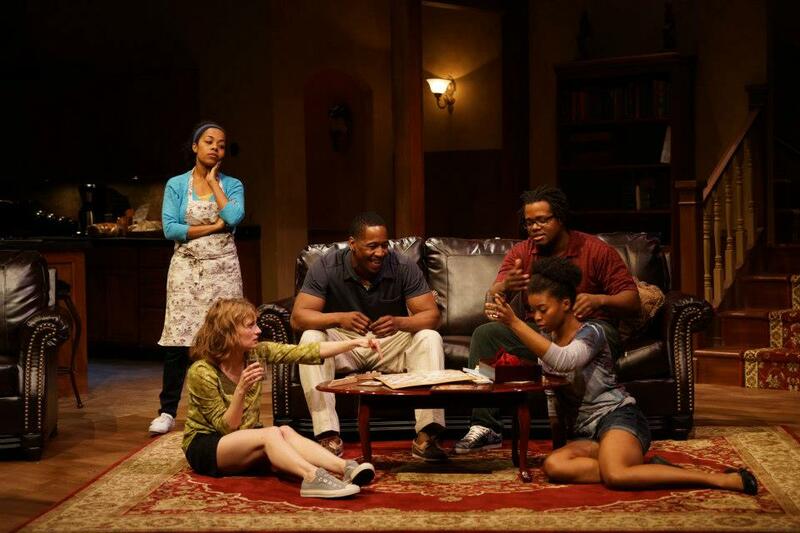 James A. Williams (who has worked with Marion in two plays from Pillsbury House Theatre's "Brother/Sister" trilogy, with the third hopefully coming soon) is the strict but genial dad, who soon reveals a darker side. Darius Dotch and Darrien E. Burks create distinct personalities as the elder and younger sons, and also share that brotherly love as well as conflict. Tracey Maloney (one of my favorites) is Kimber, the calm outsider at the center of the storm, and Traci Allen steals several scenes as the passionate Taylor. Last but not least is Brittany Bradford as the maid's daughter. I've enjoyed her performances of such diverse singing roles as Gary Coleman, Natalie, and Sarah Brown Eyes, and I'm happy to discover that she's just as compelling in a non-singing role. She believably takes her character from a hard-working and happy young woman to someone who's entire world has changed. Besides the actors, the other star of the show is the set, designed by Christopher Mayer. It's a beautiful home that's nicer than any I've lived in! The living room and kitchen are side by side, separated by an invisible wall, that allows for two conversations to be going on at once. The space is well used, with people often congregating in the kitchen as happens in real life, or for a friendly game of scrabble in the living room. *HBO is reportedly going to produce a movie version of the play, adapted by playwright Lydia Diamond. I'll watch that!